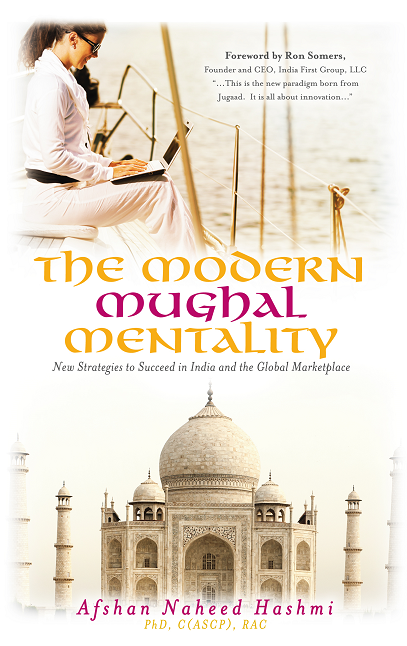 Here is a book on a specific management principle 'Jugaad' which can be applied in contemporary world. Interesting? 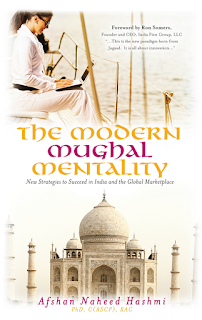 Read more on The Modern Mughal Mentality. Currently, every month she delivers lectures on India's various aspects to a very large audience. Dr. Afshan Naheed Hashmi has an amazingly diverse career with extensive media experience. She is very popular in India, and many newspapers in India in English, Hindi, and Urdu having written about her including, "The Hindu", "Hindustan Times", and "The Indian Express" to name a few ( (drafshanhashmi.com/id16.html ).She has also appeared on major television channels in India and on TV Asia in the USA.